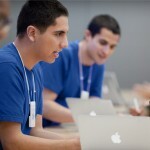 Apple has started airing a new TV ad, in which the role of the Apple Store Genius is advertised to viewers. After the embarrassment of misidentifying poison oak in a recent Siri-touting commercial, the Cupertino, CA company has chosen not to advertise OS X Mountain Lion, the iPhone 4S, the new iPad or even Siri: the one-time flagship feature of Apple's fifth-gen smartphone handset. Instead, this new batch of TV ads show off the important role played by Apple Store Geniuses. 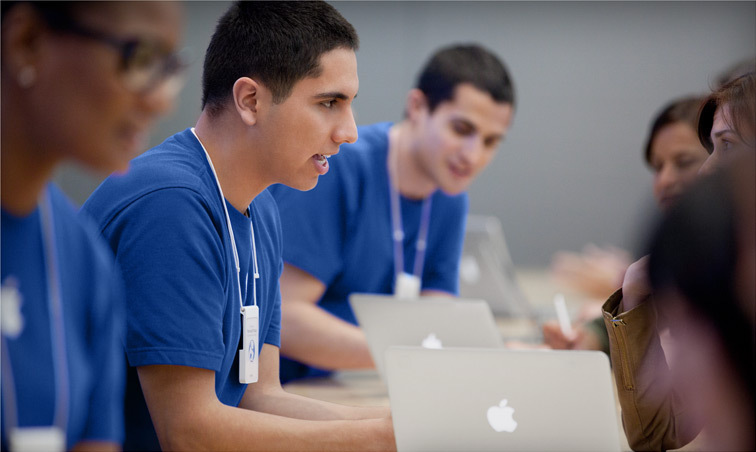 For those who don't know, Apple Geniuses are in-house OS X and iOS experts, who Apple customers can talk to in an Apple Store. It's a great service, and something Apple should indeed advertise to its customers. Recent Apple ads - or rather, Siri ads - have featured famous actors such as Samuel L. Jackson, Zooey Deschanel, and John Malkovich. Though, I think most of us will agree that these ads paint an idealized representation of the voice recognition service, at best. Below, we've embedded both ads for your viewing pleasure. All are now available to view on Apple's YouTube channel.